Make a real statement with Arcade Bathrooms Piccadilly shower enclosure. 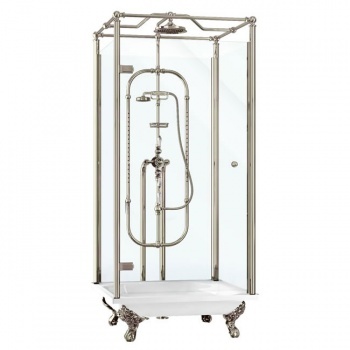 This Piccadilly includes a 1000mm stone resin tray with traditional legs and high flow waste, an Avon exposed thermostatic shower valve with riser which features a fixed shower head, handset, mist bar and soap basket and a hinged door enclosure which features 8mm safety glass with Easy Clean coating. 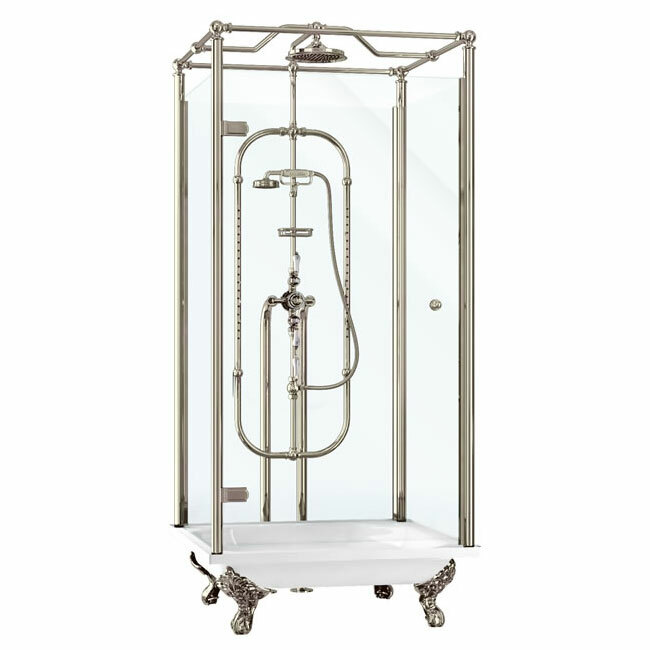 The Piccadilly shower temple is designed to operate between pressures of 3 and 5 Bar.